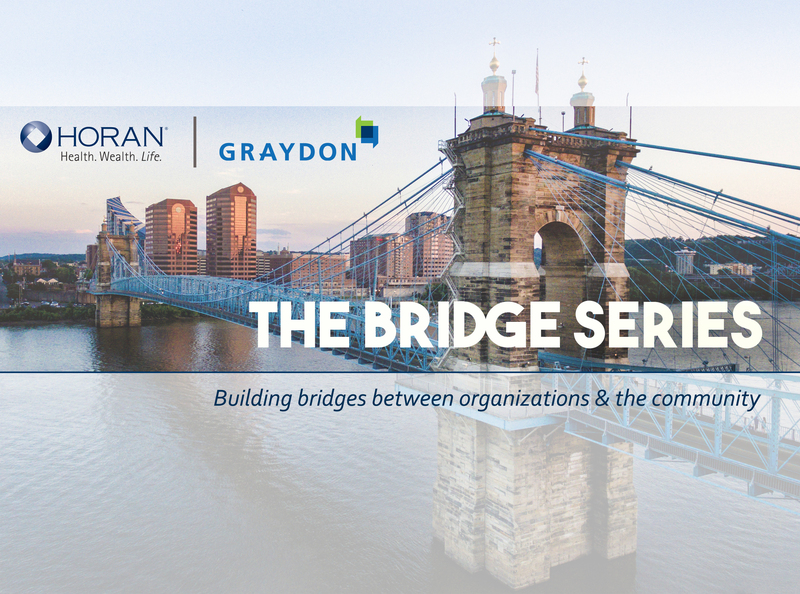 Please join Graydon and Horan for our monthly Bridge Series! The Bridge Series is held on the first Friday morning of each month. Each month there is a brief presentation by a community leader, coffee and light breakfast, and the opportunity to network. March’s event will feature Thane Maynard, Director of the Cincinnati Zoo and Botanical Garden. RSVP to Chris Huggard at 513-587-2735 or ChrisH@horanassoc.com.